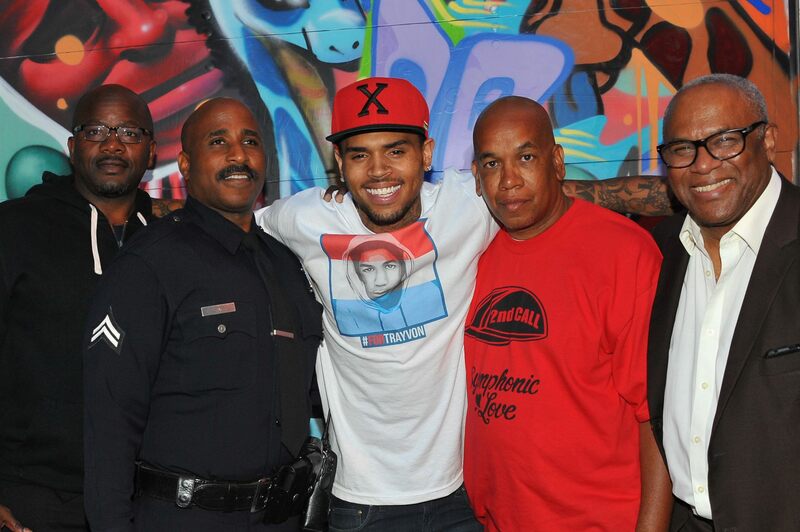 Unity Campaign | GLOBAL SHYNE INC.
Eugene “Big U” Henley, LAPD’s Dave Love, Chris, Skipp Townsend and Deputy Mayor Guillermo Cespedes come together in South Central LA for Chris’ Unity Campaign and his WE US project. WE US brings together LA City Officials, LAPD, LA County Sheriff’s Office, neighborhood leaders, local gang reduction / youth development organizations, LA graffiti artists, LA Team Breezy fans and families in a community-wide effort to inspire a message of unity. Follow Symphonic Love Foundation for the latest on the campaign. Special thanks to Reebok Classics, the official footwear provider for the cause. Come behind the scenes of Chris’ Unity Campaign over the weekend which involves working in cooperation with the LA City mayor’s office and local gang reduction organizations to continue inspiring change in South Central LA. His ‘WE US: Walk Everywhere in Unity’s Shoes’ project was very successful and provided Reeboks to 1.000 youths at three sites in Compton and The Jungles in an effort to remind young people that whenever and wherever they walk, we are a united community. Video (9-7-2013).